Mike Swiger and Sharon White will be featured speakers at NHA's Alaska Regional Meeting. Van Ness Feldman is home to the premier hydropower law practice in the United States and to one of the largest and most experienced teams of attorneys available. Our current and recent matters involve over 50 percent of all FERC-licensed hydroelectric capacity in the country. Additionally, the firm advises developers of new hydropower projects, including conventional large and small hydro, pumped storage, and emerging technologies such as ocean and tidal projects. Van Ness Feldman offers a singular combination of legal pragmatism, practical and comprehensive knowledge, and political perspective to help our clients identify effective solutions to emerging business problems. We understand how to efficiently navigate important and time-sensitive client business matters through approval processes in key regulatory agencies. This experience and familiarity in regulatory matters allow us to work closely and effectively with policy and career staff within agencies such as the Federal Energy Regulatory Commission (FERC), the U.S. Forest Service, the Departments of the Interior and Commerce, and other federal and state agencies, to craft solutions that achieve our clients’ business objectives while meeting regulatory requirements. Our clients represent the full range of hydropower owners and developers, from investor-owned utilities, to state and municipal power agencies, to large and small independent power producers. 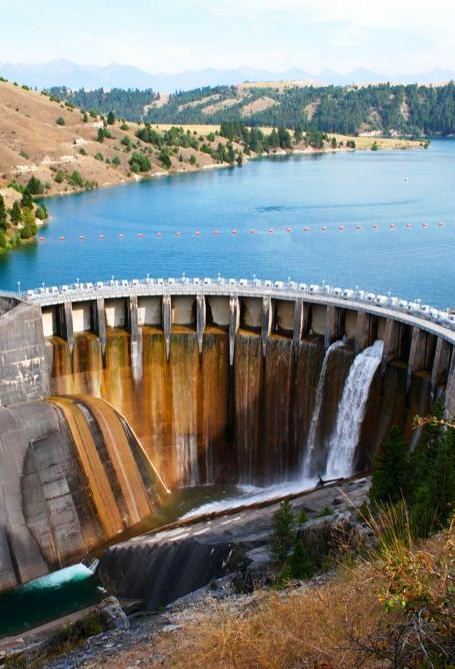 We also represent a range of other entities with interests in hydroelectric projects including irrigation districts and water supply agencies, purchasers of federal hydropower, and equity investors in hydropower development. Administrative litigation, including hearings at FERC as well as under the hydropower reform provisions of the Energy Policy Act of 2005. NWHA 2011 Annual Conference "Hydropower: Generating a Clean Future"